Jacksonville Inn & Restaurant | Historic Jacksonville, Inc.
Irish immigrant Patrick Ryan was perhaps early Jacksonville’s most prolific builder of brick “fire-proof” commercial buildings. 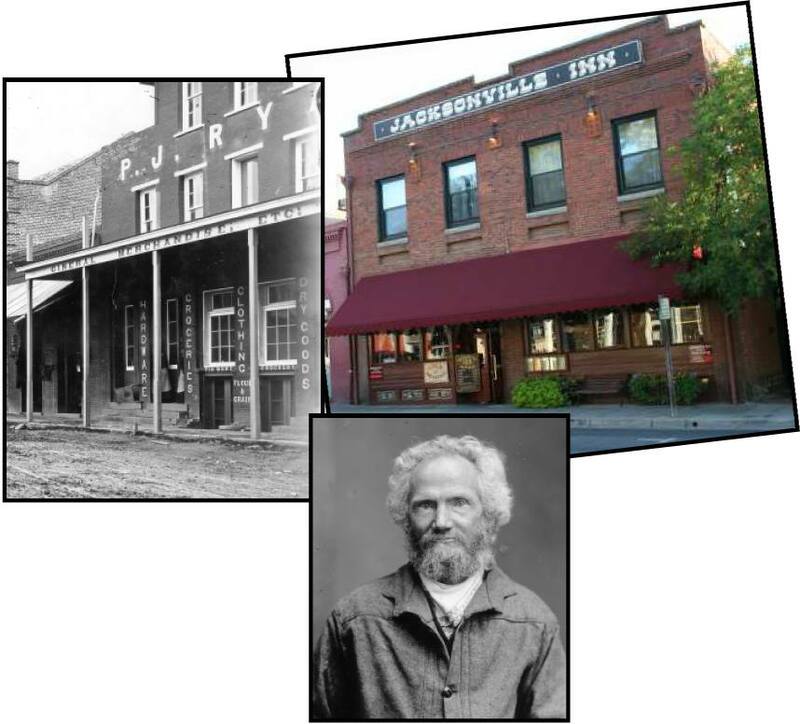 In 1861 he constructed a 1-story brick mercantile storehouse at 175 E. California. When that building burned in the fire of 1873, Ryan erected a 2-story brick mercantile warehouse on the previous foundation. The Oregon Sentinel proclaimed it to be “as fine a building of the kind as there is in any town this size in the state.” A third story wooden “penthouse” (later removed) made it the tallest commercial structure ever built in Jacksonville. Today it houses the Jacksonville Inn and Restaurant.